This week I had a friend, Lorna Harris, send me photos that were taken in June 1966 at my family’s cottage near Goderich, Ontario. She found them tucked between the pages of an old book she was preparing for a garage sale this week. We were both 18 at the time and had just completed first year at UWO. While hippies were smoking dope and drinking coffee in the Yorkville District of Toronto, here I was, a skinny teenager, shivering in the river; she, a coy young woman blowing bubbles on the lawn. Looking at these photos, I wondered what else was happening in 1966? Not that the bubbles and the rapids weren’t enough to keep me intrigued. Prime Minister of Canada in 1966. 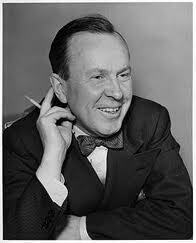 Lester B. Pearson was the Prime Minister of Canada and Lyndon B. Johnston was President of the United States – a good year to have the middle name “B.”. We gradually went downhill to “W.” as a middle name over the next 40 years. Obviously in 1966, smoking was thought to make you look “with it”. The Montreal Canadians beat the Detroit Red Wings in overtime on April 29 win the Stanley Cup – the best of six NHL teams. Gump Worsley and Jean Belliveau were on the team. No helmets, no goalie masks. Now, with 30 teams in the league and a season that stretches to June it is less hockey and more big business. The Toronto Maple Leafs had Johnny Bower, Frank Mahovolich and Tim Horton. They won the Stanley cup in 1967 but have not come up drinking champagne since. 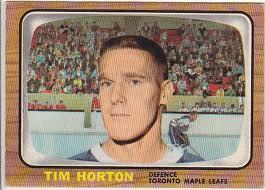 Tim Horton was still known for hockey, not donuts. Imagine a Canada with no Timbits or line-ups for double doubles. Hockey player Horton had one store in Hamilton in 1966. Today there are over 4000 Tim Horton’s Donut shops in Canada. 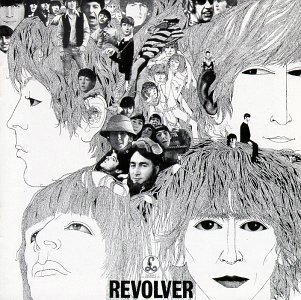 The Beatles released the Revolver Album (Eleanor Rigby, Yellow Submarine) in August of 1966. Other musical hits that year included “Monday Monday” by the Mamas and the Papas, “Strangers in the Night” by Frank Sinatra and “You Keep Me Hangin’ On” by the Supremes. Simon and Garfunkel released their “Sounds of Silence” album in 1966. They were little-enough known that I saw them perform at a free concert at UWO that fall. The average cost of a house was $14,200 ( I bought my first house in 1971 for $17,500) and gasoline cost 32 cents a gallon. (Gallon not Litre). The War in Viet Nam was going strong but protests against the war were escalating. The Mini Skirt was a popular “fashion” trend for women. For men it was the paisley shirt. I had one. Black with red and yellow paisleys on it. The first episode of Star Trek aired on television. And the first broadcast in Canada in colour was made by the CBC. I remember the first colour TV I saw – a big monstrosity in a cabinet with colour that was anything but subtle. But then I also remember my grandparents first Admiral TV in the mid ’50’s. We would sit and watch the test pattern – the one with the Indian on it – waiting for Howdy Doody to come on. And what was happening in Africa in 1966? The Republic of Kenya was less than two years old, having achieved independence in December 1964. Jomo Kenyatta was the president. 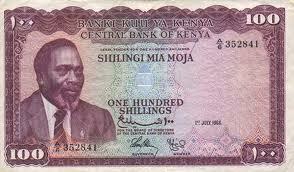 The Kenyan, Ugandan and Tanzanian Shillings were introduced as the currency for those countries. Botswana achieved independence in 1966. Now the cool thing about all this is that the Supremes are long gone, Lester B. Pearson and Jomo Kenyatta are historical figures, the war in Viet Nam is over (but has been replaced by a similar one in Iraq and Afghanistan), the Leafs…well, we won’t go there. But Lorna and I, 46 years later, are still friends. We live in different parts of Ontario but we correspond regularly by email to share ideas and memories and we meet periodically for a catch up dinner. We still learn from each other – she has recently introduced me to the em-dash. Our friendship seems to be like the Eveready bunny – it just keeps going; and that makes me feel very fortunate. And what did Lorna think about when she found those photos….check it out on her blog “Forever Blowing Bubbles” here. This entry was posted in Uncategorized and tagged "old photos", 1966, Beatles, Bluewater Beach, bubbles, Goderich, johnageddes, Kenyan shilling, Lorna Harris, memories, Mini skirt, Nostalgia, Pearson, photographs, Stanley Cup, Star Trek, Tim Horton by johnageddes. Bookmark the permalink. Hmmm I finally figured out how to comment. So there you go! Trying not to use the g- wrod (i.e., Great) so will say entertaining and nostalgic!